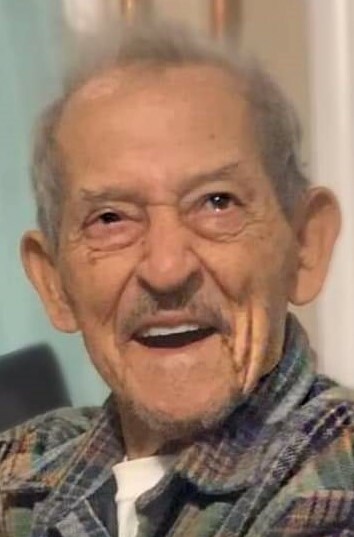 Antonio Bonilla Diaz, age 95 of Juncos, Puerto Rico entered into eternal life on February 4, 2019 surrounded by his loving family. Born on September 3, 1923 in Juncos, Antonio lived in New Haven, CT for 38 years and retired to Puerto Rico in 1986. Antonio was predeceased by his loving wife of 72 years, Carmen Bonilla-Torres, his daughter Rita, and his grandson Francisco (Frankie). A loving father, grandfather, and great-grandfather, Antonio is survived by sons Antonio Jr. (Papo) and his wife Jocelyn of Germany, Edgar (Ed) and fiance Andrea of Meriden, his daughters Milagros (Millie) of Juncos, and Nancy of Meriden. He was “Abuelo” to his loving grandchildren, Julius, Rodolfo (Rudy), Jessica, Alison, Jordan, Casey, Kayla, and his great-grand daughter Gabriela (Gabby). Antonio was a proud veteran of World War II. He cherished spending time with his family, especially his grandchildren who brought him great joy. He enjoyed good old fashioned baseball (none better than Babe Ruth) and he enjoyed working on his home and land in Puerto Rico, always working on a project, tending to his many animals, and growing fruit and vegetables that he shared with all. As a son, brother, father, grandparent, and as a friend, he was the one all looked to for guidance, support, and comfort. Now it is our time to comfort him. He will sadly be missed by all who love him. Visitation will be held on Thursday February 7, 2019 at Colonial, 86 Circular Avenue Hamden from 5-8pm. A celebration of Antonio’s life will take place in Juncos, Puerto Rico. Condolences may be expressed at http://www.colonialfuneralhome.come.